Let’s see how long it takes this time. Early yesterday afternoon I went outside to accept a delivery. I signed for it, received it, and proceeded back inside. We have a heavy duty steel screen door. 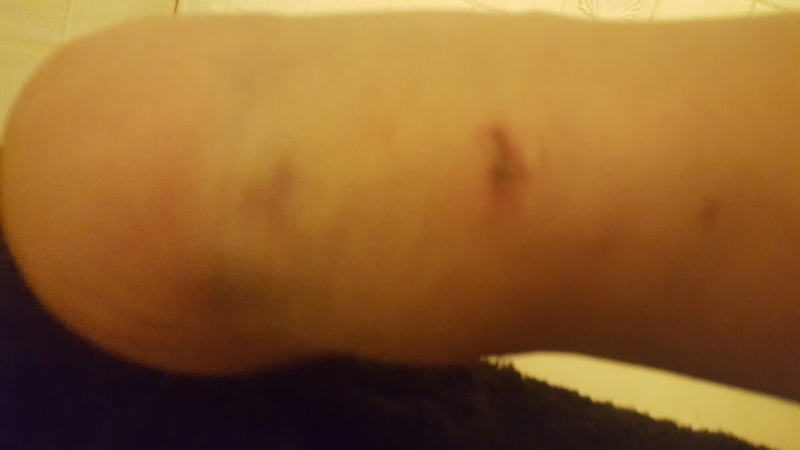 I must have swung it too hard behind me to close it before I stepped inside fully and my foot got caught beneath the metal frame and door frame. 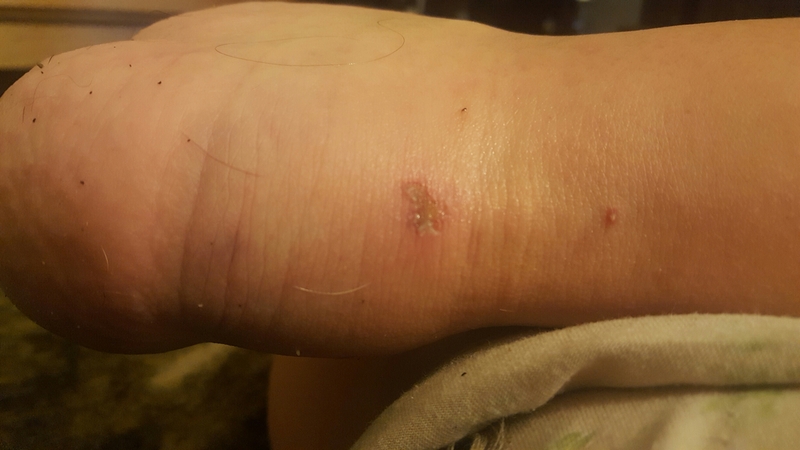 Ugh at the stinging as I pulled the screen door off my ankle. I wanted to scream, cry and yell out every profanity I knew. I had walked outside in just socks onto the wet pavement. I didn’t take those socks off or even look and my foot for over an hour after. I had to put myself again directly into the mindset of don’t worry, don’t stress over it, go to your happy places. I peeled those wet socks off finally. Dog hair, soggy from outside, yuck. I did think later, well I won’t be driving to the little store as planned now. I had re injured myself in May too and fairly badly. I didn’t go get xrays or see a doctor. 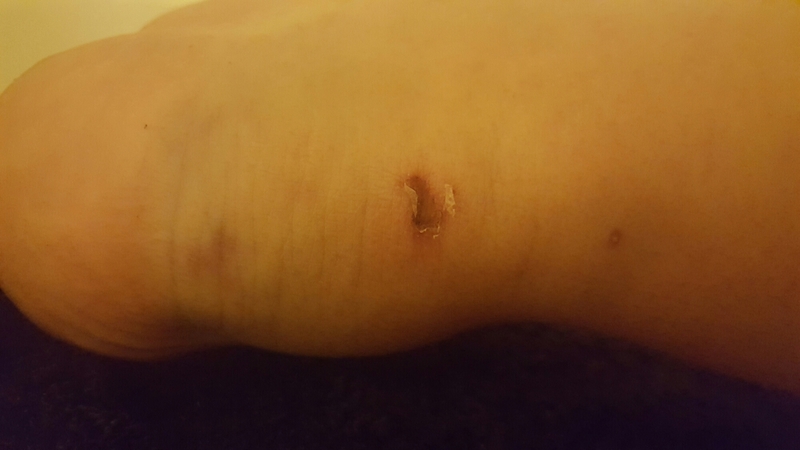 It took nearly 2 months to fully heal, but I was right on top of it with Epsom soaks, ice, rest and movement. It was the first time in 16 years I had used ice on a CRPS limb. I didn’t really have a choice. Wait! I did. I could have stayed away from the ice and accepted those consequences, too. I won’t be seeking medical care this time either. We were invited to dinner with our son and his girl for tonight. Tagged CRPS, Injuries, self care.